Offering dynamic solutions to your family law and child protection matters by prioritizing compassion, efficiency and value-consciousness. 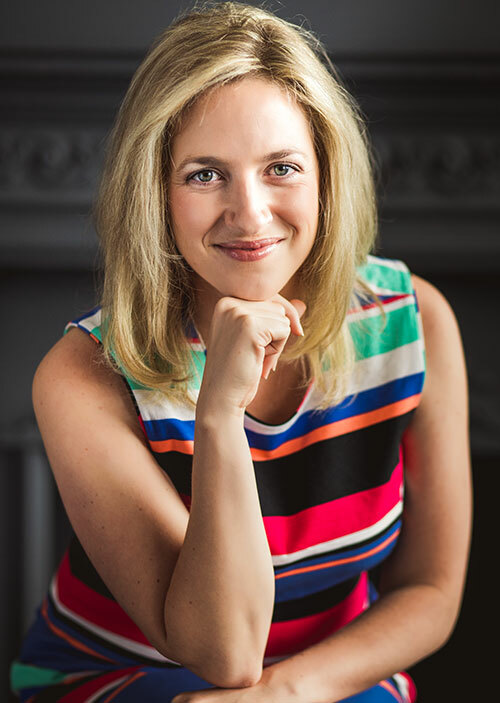 Ashley Waye is the founder of Waye Law, a family law boutique in Toronto. With years of experience in all areas of family law, she assists clients with issues relating to custody, access, child and spousal support, mobility, property division and child protection matters. She is a certified collaborative practitioner as well as a skilled litigator who is prepared to fearlessly represent clients in court when necessary. As a former long-time owner of a retail business, Ashley became adept at reviewing company financial statements and, as a result, is skilled at determining the actual income for the purpose of child support and spousal support of sole proprietors, partners and shareholders of corporations. Ashley has experience living and studying abroad and is fluent in three languages, including English, French and German. She is also a wife and a mother. These experiences give her a broad perspective to draw on when representing her clients. Ashley is the past-Chair of the Ontario Bar Association’s Women Lawyers Forum and is a former executive member of the OBA’s Family Law Section and Solo and Small Section. She sits on the board of the Royal Canadian Curling Club and is the former chair of Happy Families Support Network Inc., an organization for women and children who have experienced abuse. We understand that many clients come to us for assistance during a stressful period in their lives. They value us because we mitigate that stress through responsiveness, efficiency and excellence in advocacy. We pride ourselves on detail-oriented drafting, effective negotiation and skillful litigation. We draw on these skills to craft creative solutions to our clients’ family law matters, in or out of court. We take a modern approach to the practice of law by running a paperless, digital practice. Clients do not have to lug around boxes of documents and can avoid exorbitant photocopying expenses. Most meetings can happen remotely, saving clients travel time and parking expense. We understand that clients fear the cost of lawyers. We mitigate that by always recommending the most reasonable, effective and value-conscious solutions to problems at each step of the process. This saves clients money on unnecessary court appearances when issues can be resolved through reasoned negotiations. We help with marriage contracts and cohabitation agreements, as well as all matters relating to separation or divorce through negotiation, collaborative practice and litigation. We also assist families in child protection matters. I agree that submitting information via this form does not create a lawyer-client relationship. No information you provide to Waye Law will be considered confidential unless and until we have agreed to act for you.